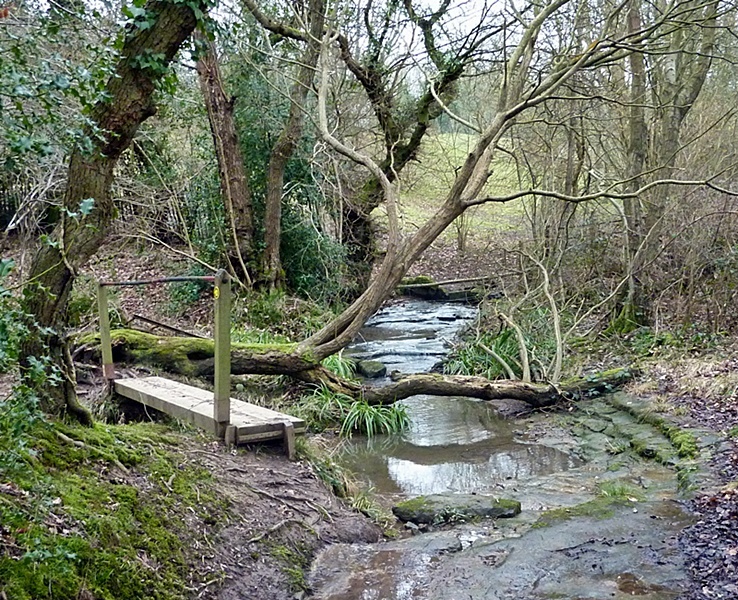 There are plenty of county trails in England, tracing a way across or around a county, and very fine they can be. The Sussex Border Path is though, I think, unique; a trail designed explicitly to explore the countryside delineating the border of a county, and therefore from time to time meandering outside as well as inside the shire which it serves. Sussex is a happy choice for such a venture. Its collection of chalk downland, clay weald and seaside marsh, interspersed with characterful rivers, mean there is variety both at the mile-by-mile level and the longer stage-by-stage pulse that is essential in maintaining interest through a long trail, well over 100 miles, like this.And there is even a little bonus too. 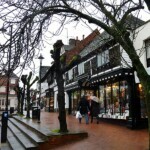 For many years, Sussex has been split administratively into West and East, a division formalised in the 1970s. 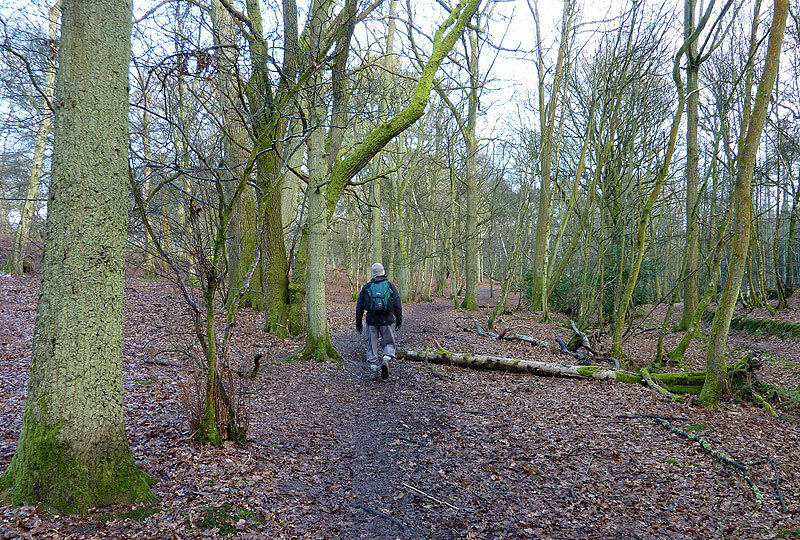 A branch of the path, heading south for the sea from East Grinstead, celebrates this ‘mid-Sussex’ boundary, though I’ve not walked it yet. The Sussex Border Path website gives field-by-field directions, and very useful they can be, though beware of recent changes. 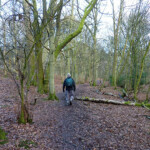 The path is clearly marked on OS maps and should present no difficulty to the regular walker. 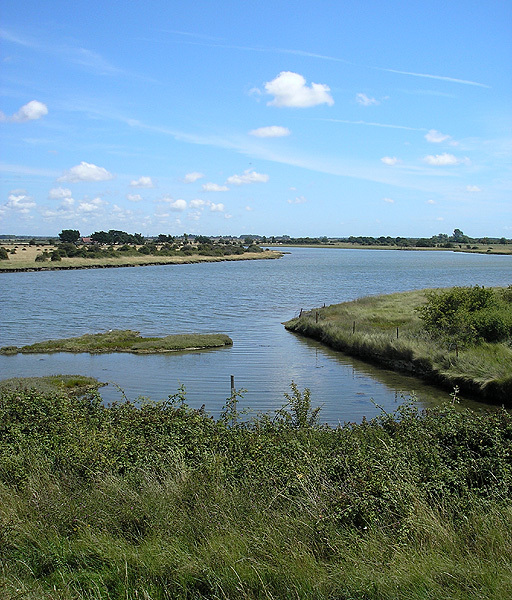 This path starts at the county boundary at the edge of the Hampshire town of Emsworth and finishes at the ancient port of Rye. From Emsworth it loops around Thorney Island before heading north through the South Downs at South Harting and then crossing the Rother. 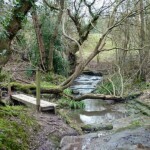 (There are two Sussex Rothers, one in the west, one in the east; they are the first and last major rivers of the path.) From here it enters the Low Weald, skirting the Surrey town of Haslemere before crossing the highest hill of Sussex, Black Down. 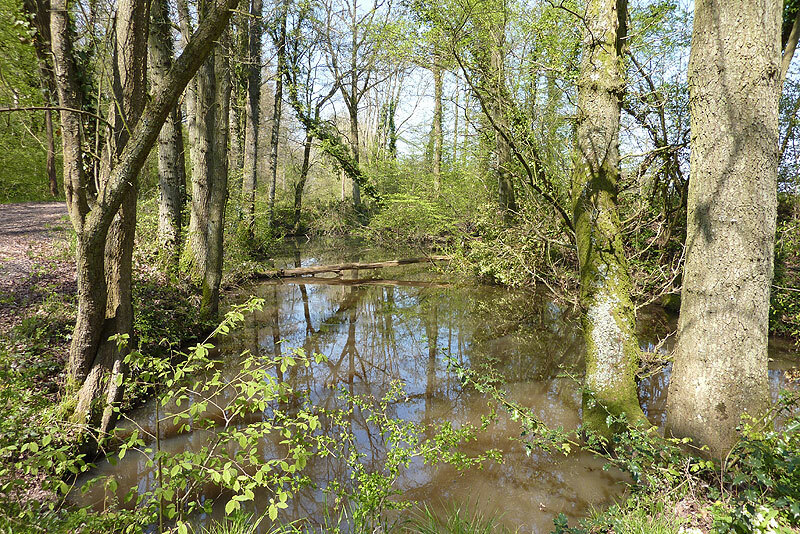 A lengthy stretch in the catchment area of the upper Arun follows before close acquaintance with Gatwick Airport. In the crowded south-east of England, one must take the rough with the smooth! 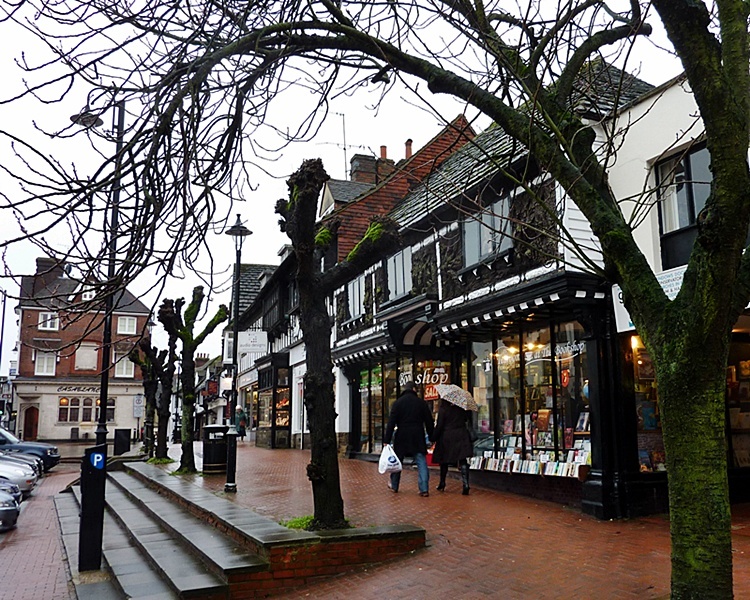 East Grinstead, nowadays in West Sussex, is where the mid-Sussex link diverges south. 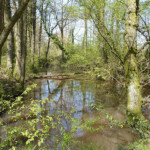 It descends to the Ouse, keeping the commuter territory of Haywards Heath and Burgess Hill to the west, before crossing the South Downs at Ditchling. A downland stretch swings north of Brighton and Hove before diving towards the sea through the suburb of Portslade. 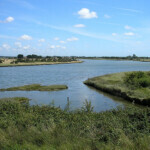 The East Sussex stretch explores first of all the upper reaches of the quintessentially Kentish river Medway. 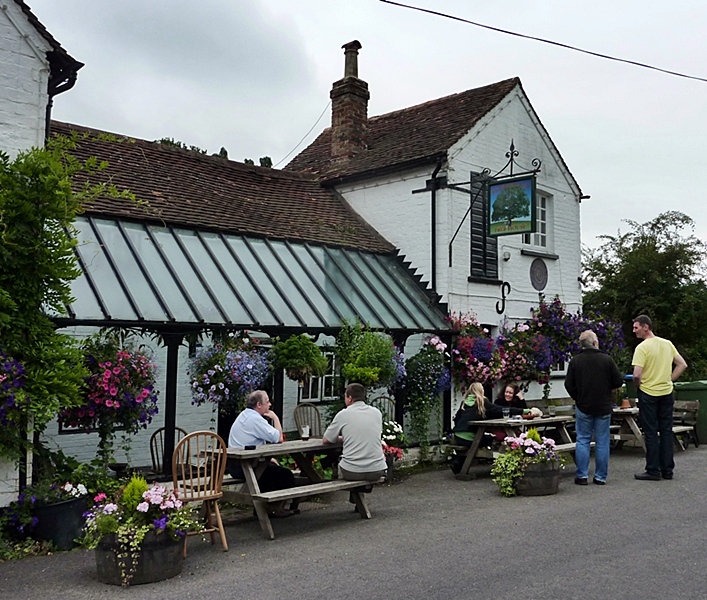 From here it climbs into the High Weald (nowhere near as high as the Low Weald to the west) and runs south of Hawkhurst before reaching the East Sussex version of the Rother. After a brief excursion to Northiam, the path enters its finish point Rye along several riverside miles. Note though that the county boundary is about six miles away, towards Dungeness. Finally, it’s worth pointing out that Weir Wood Reservoir (Mid) and Bewl Water (East) both lie on the path, and two of the south’s few natural rock-climbing meccas, Harrison’s Rocks and Bowles Rocks, are nearby, the latter in clear view. A glimpse at the above summary will show that, apart from the three termini and the ‘junction’ town of East Grinstead, the route’s creators (Ben Perkins and Aeneas Mackintosh – thank you) avoided direct routes through the towns of Sussex and its hinterland entirely. That can make stage-by-stage planning a little tricky. Emsworth, East Grinstead, Portslade and Rye all have rail stations of course. 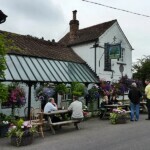 My first stage ended at the village station of Rowland’s Castle, a few yards from the way, and Liss, Liphook and Haslemere stations, also on the main London – Portsmouth line, are all within walkable distance too. Beyond here, one must rely on the Horsham – Guildford bus and some other sporadic services before Gatwick, on the London – Brighton line. Ashurst (Uckfield line) and Wadhurst stations (Hastings line) are a convenient day’s walk apart, but that’s it for regular rail till Rye itself. Mid-Sussex is so well served by buses that I would expect little difficulty with logistics there. I use Traveline as my bus reference of choice. And since the Mid-Sussex link runs close to the whole length of the Bluebell Railway, and the main trail crosses the Kent & East Sussex Railway at Bodiam, you could always travel by steam train!